In September of 2017, nearly 150 supporters came together to help produce this comic book. Please enjoy, and please check out the info at the bottom of the page to learn more about this project and its supporters. Click here to share this comic on Facebook. Then listen to the TED Talk! 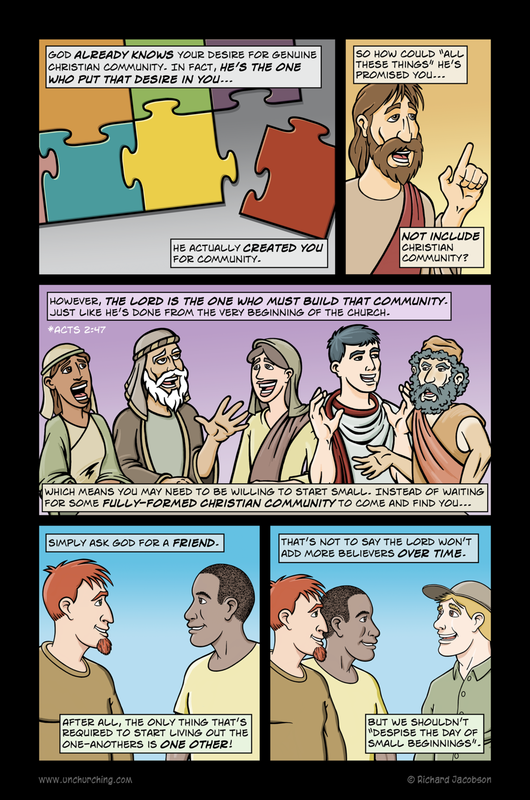 In this brief talk, I discuss the current exodus from the institutional church, as I share my cartoons, artwork from this comic book, and much more. Hope you like it! 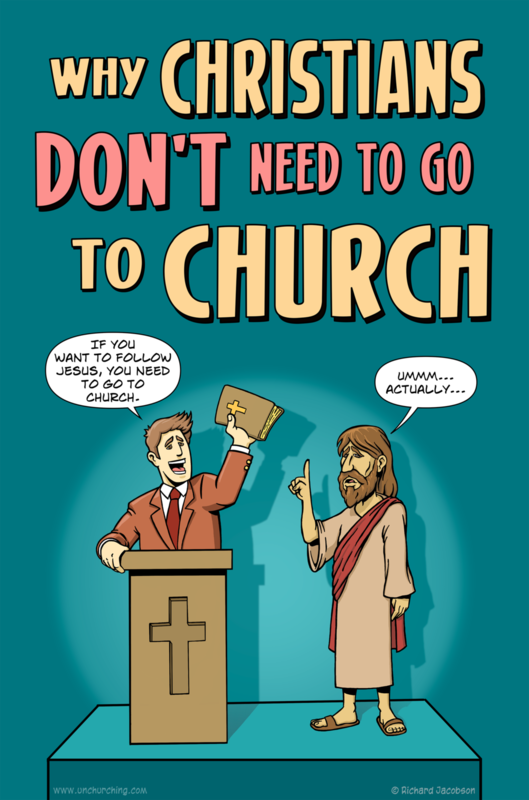 Visit the homepage of this site to see some of my cartoons and to find links to my animated explainer videos, The Unchurching Podcast, my Patreon page, our Facebook group, the unchurching discussion forum, and to sign up for email updates or download free sample chapter from my book. I want to thank every single person who backed this project on Kickstarter and ordered printed copies of the comic book to hand out to friends and family. I hope this comic serves as a great tool to spark some really important conversations! Pictured left and above: Opening the very first box of the limited-run print version of the comic book. Chad Kennow has been a longtime supporter of my work. He was not only the biggest backer of this project, but possibly its fiercest promoter too. If you read the book, you already saw Chad's cartoon-self, seated across from a cartoon version of yours truly, along with a few other friends. Henry Hon is a fellow author who has quickly become a good friend. If you like my work, you should check out Henry’s book, One: Unfolding God's Eternal Purpose from House to House. It's available both for purchase or for free online reading. As I said, lots of people made this project happen but I especially want to thank Sharyn McEwan, Roy G. Neely, Ryan Northcutt, John Schade, my brother-from-another-mother Keith Leedham, Tim Truong, Joel C. Cooper, my podcast co-host and good friend Gunnar "Baconsizzle" Falk, Deky Junaedi, Chris and Geana Rust, Scott Lazaros, Bill and Jean Manduca, Denise Perry, the fine folks at reproducible.church, plus longtime friends Adam and Carli Johnson, and Susan and Greg Raborn. I also want to thank all the supporters who gave to this project anonymously. Your generous contributions actually accounted for a whopping 15% of the total funds raised. Obviously, it pains me not to thank all of you publicly, but please know I’ll always be indebted to you personally.